David Allen Maloy, 58, of Coppell, Texas, has been sentenced to 120 months in prison, followed by three years of supervised release, for stealing $7 million from more than 700 businesses and more than 600 individuals nationwide through a long-running Ponzi scheme. He was also ordered to pay $7,246,709 in restitution. Malloy appeared earlier this week before United States District Judge Gerald Bruce Lee. “David Maloy’s rebate business was all a lie, which he used to rip off more than 1,300 victims throughout the country of more than $7 million,” said Neil H. MacBride, United States Attorney for the Eastern District of Virginia. “To make matters worse, he lavished himself and his friends with cars, jewelry and other luxury items until his complex Ponzi scheme all unraveled. This 10-year sentence demonstrates that crimes of this size, scope and impact will be met with serious consequences,” MacBride said. 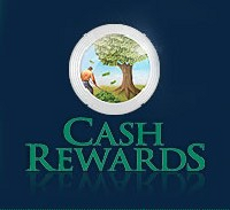 According to court documents, beginning in 2003 Maloy founded, owned, and operated Cash Rewards, Inc. (CRI), a Texas company that marketed an advertising tool to retail businesses that could be used to attract prospective customers with a time-deferred, mail-in cash reward certificate. Numerous retailers in Virginia and across the United States — including real estate agents, boat dealers, and automobile salespersons — enrolled in CRI’s cash reward program and suffered more than $7 million financial losses as a result of Maloy’s scheme. During the course of his scheme, Maloy made numerous false representations about the operation of CRI when he pitched his company to prospective clients, according to court documents. He stated, for instance, that when money owed to a certificate holder was rewarded three years later, it would be paid out of the pool of funds that were collected in the month the customer made a purchase. This assured potential clients that even if CRI went bankrupt, claim funds always would be available because they were kept in segregated monthly pools in the escrow account. But there was no escrow account and segregation of funds, prosecutors said. Despite Maloy’s assurances about the security of claim funds, numerous certificate holders could not redeem rewards that they were owed after CRI filed for bankruptcy in 2009. Maloy also allegedly misled his potential clients by stating that an independent third-party administrator would determine whether a particular certificate holder was entitled to a cash reward. According to Maloy’s sales pitch, neither CRI nor Maloy could reject any certificate holder for failing to satisfy any of the specified redemption requirements. This, too, was untrue. As Maloy admitted, he and others at CRI were actively involved in reviewing and rejecting rewards. Indeed, on some occasions Maloy himself overturned the third party administrator’s determination that a particular certificate holder was entitled to a reward. These many misrepresentations convinced hundreds of retailers across the United States to enroll in CRI’s cash reward program. By the end of 2006, however, CRI did not have sufficient funds in its accounts to support its cash reward program. Nonetheless, from the end of 2006 until CRI filed for bankruptcy, Maloy and CRI continued to market its certificates, obtain new clients, and receive money from retailers. During that time, Maloy used funds that were paid into CRI’s accounts to purchase numerous luxury cars, a lake house, expensive jewelry and other items of his personal use. He was also held in contempt by a bankruptcy court in Texas for disobeying specific court orders and using hundreds of thousands of CRI’s dollars to benefit himself, family, and friends after CRI filed for bankruptcy.